The first survey of a potential site for the Jacobite army camp shortly before the battle of Falkirk is planned for the weekend of 3rd-5th August 2018. In the summer of 1745, Prince Charles Edward Stuart, commonly known as Bonnie Prince Charlie, arrived in Scotland to raise an army and march towards England to reclaim the throne. On his way south, Charles spent the night of the 14th of September at Bannockburn House near Stirling. It seems likely that there was a reason that Charles stayed at Bannockburn; perhaps the army command or the Prince himself was aware of the support of the house’s owner Hugh Paterson to the Jacobite cause, or perhaps he had met him in exile in the years after the 1715 rising. It is also possible that the selection of Bannockburn was solely for its practical location, near the road to Edinburgh. 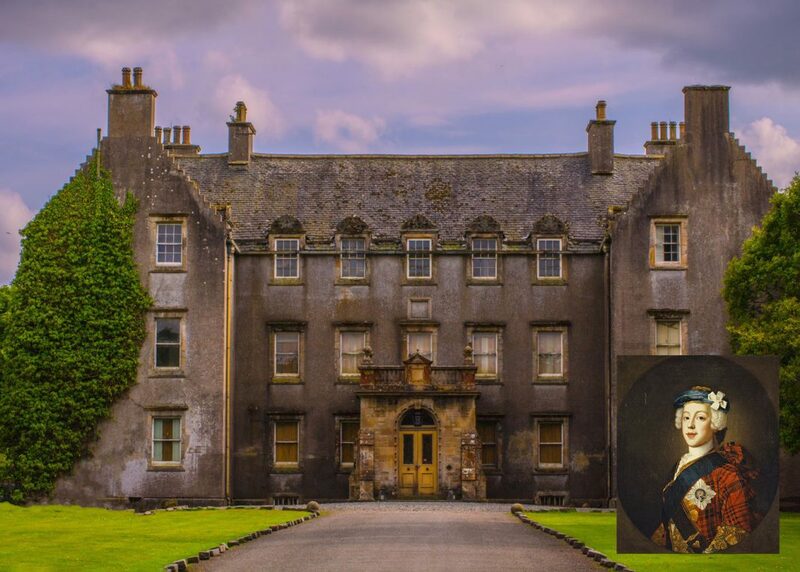 In early January 1746, Charles returned to Bannockburn House following the retreat of the Jacobite army from England. Located so close to Stirling, this mansion made for ideal headquarters for the prince and his staff to prepare for the siege of Stirling. Even though the city surrendered on January 8th 1746, the attempts of the Jacobite army to take Stirling Castle were unsuccessful. Meanwhile, the Hanoverian army, tasked with bringing the Jacobite army to battle, marched from Edinburgh to Falkirk, planning to advance on Stirling. The Jacobite army set out to meet the Government forces. Although the ensuing battle on 17th January was a victory for the Jacobites, it was clumsy and unsatisfying and marked the beginning of the downturn in their fortunes, which culminated in their defeat at the battle of Culloden on 16 April 1746. The Hanoverian victory resulted in the banning of tartan and the suppression of Gaelic culture across Scotland. ‘This is a unique and exciting opportunity to try and resolve the mystery of where the Jacobite army camped in January 1746 before marching to the battle of Falkirk,’ said John Atkinson of GUARD Archaeology. During the Jacobite siege of Stirling, Charles became ill, and he was nursed by Clementine Walkinshaw, the niece of Hugh Paterson, at Bannockburn House. She became the mistress of the Prince and followed him into exile in France in 1752, where they had a daughter Charlotte in 1753, the Prince’s only recognised child. The house itself became forfeit following the defeat of the Jacobite cause. It is thought that some of Bonnie Prince Charlie’s troops camped in the grounds of Bannockburn House. For the first time an organised archaeological survey is planned, by the Community Trust that bought the seventeenth century house and its grounds in late 2017. ‘We hope to establish the location of the camp and to find examples of both daily camp life such as cooking utensils and of the equipment men and horses would have used in battle,’ said Willie McEwan Vice-Chair of Bannockburn House Trust. Archaeologists from GUARD Archaeology Ltd will guide metal detectorists and diggers in carrying out the archaeological investigations. Volunteers are invited to come along and help with the archaeological survey of this site, which is adjacent to Bannockburn House. Visit http://www.bannockburnhouse.scot/event/looking-for-jacobites-inaugural-dig-2018-metal-detecting/ for details and how to apply for a place or https://mydonate.bt.com/events/digjacobitecamp to support the work.